Apple will launch its next-generation wireless AirPods in the next few months. The updated earbuds will have new health-tracking capabilities, according to the latest report by DigiTimes. The second-generation AirPods, originally rumoured to launch last year, will not upgrade the audio performance, but instead look to add more smarts and new features to the wireless earbuds. According to the latest report, "In terms of wireless headsets, Apple is set to release AirPods 2 sometime in the first half of 2019, and the new wireless earbuds with discrete designs to carry health monitoring functions are expected to receive enthusiastic market responses." 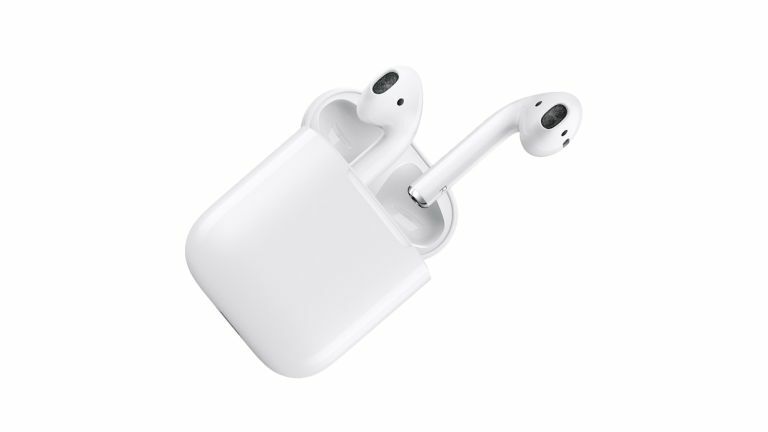 DigiTimes claims the Apple AirPods 2 will look identical to the previous generation except for a small LED light beneath the latch on the front of the charging case. This indicator light is used to signal when the case is charging wirelessly. Apple will purportedly use the same Qi wireless charging standard as its latest smartphones, including the iPhone X, iPhone 8, iPhone 8 Plus, iPhone XS, iPhone XS Max and iPhone Xr. Apple AirPods 2 will support Bluetooth 5.0 instead of the Bluetooth 4.2 version inside the original AirPods. Amongst other improvements, this should offer improved battery life for the wireless earbuds. As it stands, the current-generation £159 AirPods last for five hours of listening time between charges. The charging carry case can top-up the earbuds with three hours of listening time in 15 minutes. The case, which charges over Lightning port, has enough battery life to top-up earbuds with more than 24 hours of listening time. Previous leaks have revealed that AirPods 2 are classified as a Class 10 category device in recent trademark filings in Hong Kong and Europe. That means the gadgets contain "health, fitness, exercise, and wellness sensors, monitors, speakers and displays for measuring, displaying, tracking, reporting, monitoring, storing, and transmitting biometric data, heart rate, body movement, and calories burned." Apple currently allows iPhone owners to track their steps using their smartphone, or Apple Watch. This data feeds into the preinstalled Heath app. It's possible the Cupertino-based company will bring the same functionality to its next wireless earbuds. According to reliable analyst Ming-Chi Kuo, Apple is also hard at work on a substantial redesign of the AirPods for 2020. This entirely-new AirPods range will allegedly include a separate, pricier pair of over-ear headphones with in-built noise-cancellation.